Much to my surprise, my favorite book I read in March was Between the Acts by Virginia Woolf. This novel is part of my assigned reading for my upcoming Virginia Woolf tutorial in Trinity term, so I figured I would get a head start over my spring break and try to get some reading done early. 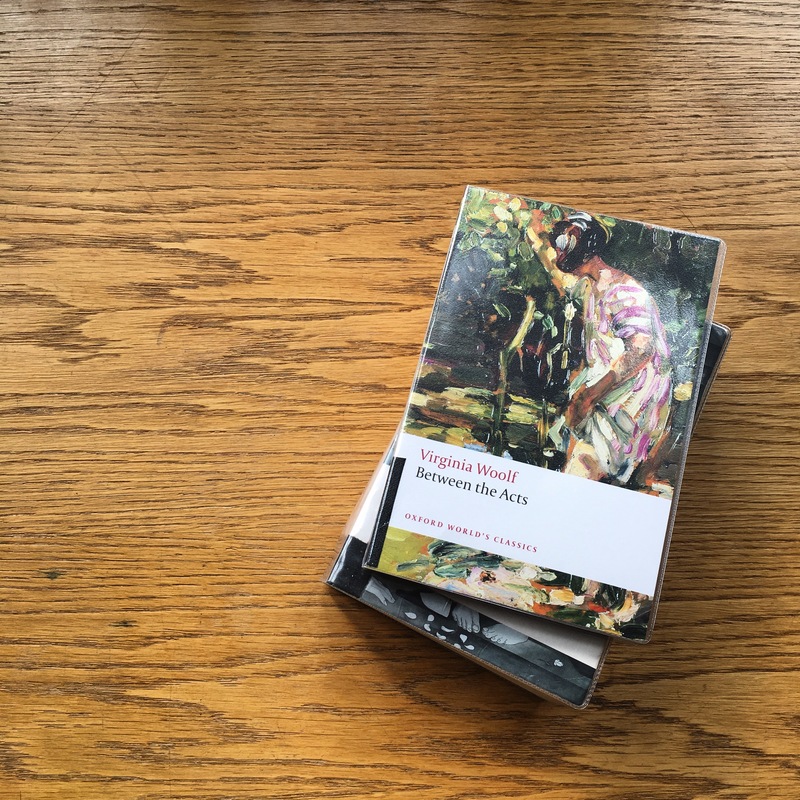 As the last book Woolf ever wrote, Between the Acts is not often considered her best work by literary critics. However, my low expectations (relatively low, since Woolf is a brilliant writer) were absolutely shattered. I adore this novel. You know a book is great when your first instinct upon finishing it is to turn back to the beginning and start reading again (which I would have done had I not had so much other required reading to get to…). If you’ve never read Between the Acts before, I highly recommend it! + MOVIE: This month I had a favorite show rather than a favorite movie: the 1995 BBC mini-series adaptation of Pride and Prejudice starring Jennifer Ehle and Colin Firth. I decided to watch it on a whim one night and before I knew it I had finished it a few days later, completely invested in seeing how the story played out on screen despite the fact that I’ve already read the novel several times. So much cheesy dialogue! Awkward interactions! Romantic suspense! If you’re ever looking for something fun and heartwarming to watch on Netflix, definitely check out this mini-series if you haven’t already! + FOOD: This month I had the best ice cream sundae I’ve ever had in my entire life. I don’t often get to enjoy ice cream that I don’t make myself due to my nut allergy, but my mom found a shop in London called Yorica that is free from every major allergen except soy. I was living. Waffles?! Brownie pieces?! Flavors besides vanilla?! 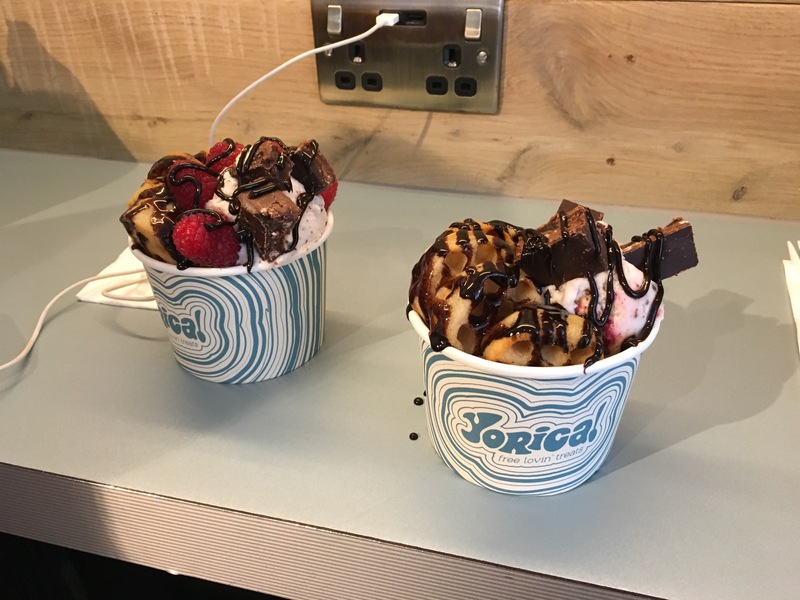 If you’re ever in London and want some delicious allergen-free treats, I HIGHLY recommend stopping by Yorica! + PLACE: LONDON. I’ve spent so much time in London this month that I was actually able to navigate parts of it without using a map when my mom came to visit. 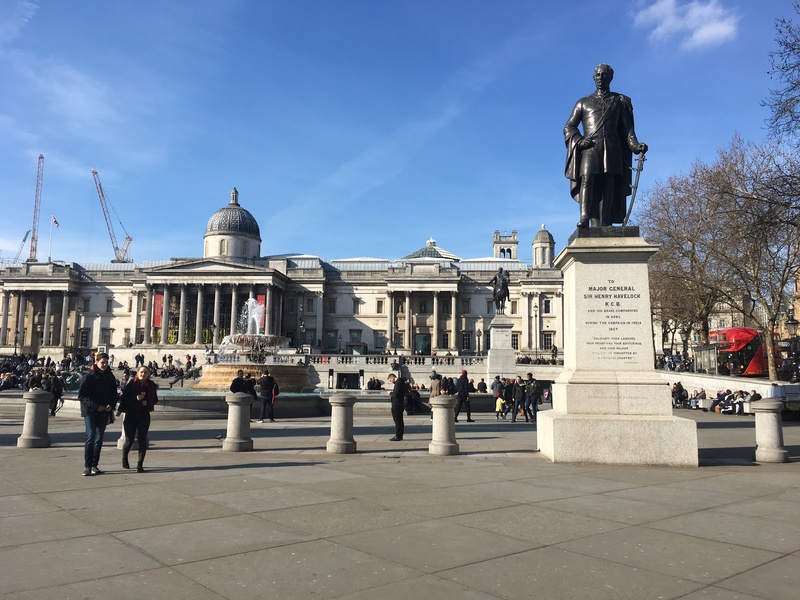 Normally I’m not a huge fan of cities in general, but there’s something about London that makes it feel different from other cities I’ve visited. Maybe it’s the lack of looming skyscrapers like in New York City or the relative quiet compared to bustling Boston. I can’t wait to keep exploring this remarkable city! March went from a snow-covered Oxford at the end of Hilary term to a relatively sunnier spring break in no time at all. 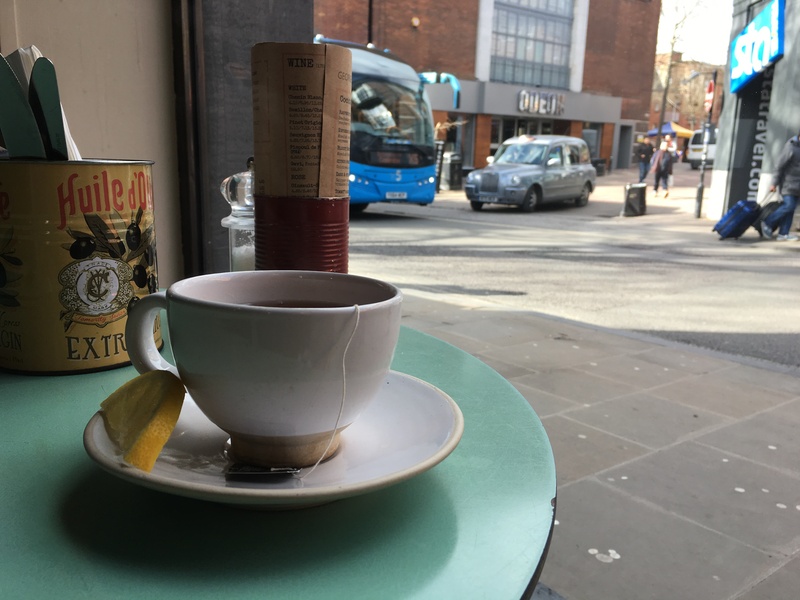 So much happened in March that I can hardly write about it all– visits from many family and friends, trips to London, strolls through museums, afternoons in cafes, and even a day at a nearby palace. As the end of my year abroad approaches (eek!!!) I’ve been gradually diving back into the world of Wheaton through picking classes, sorting out housing for next year, and thinking about what I’ll be doing over the summer. So much seems to be happening at once lately! At George Street Social, one of my favorite cafes in Oxford. 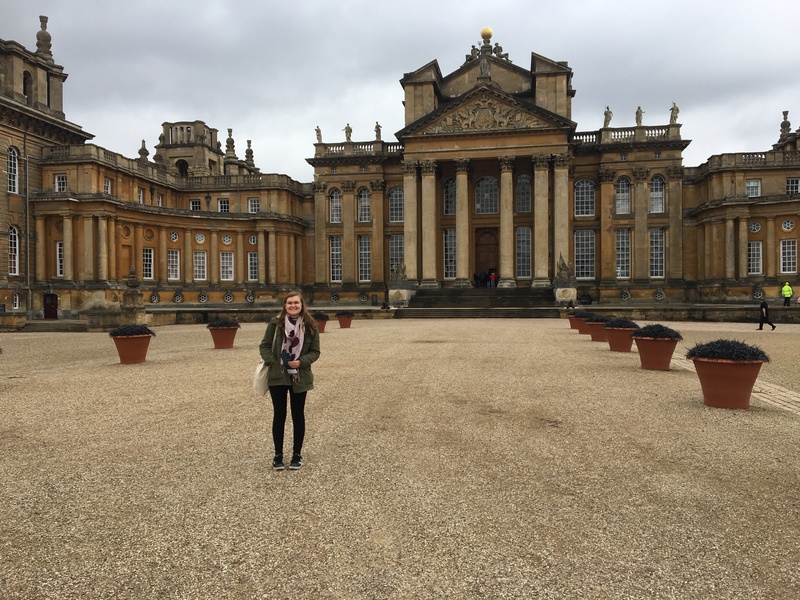 Me standing in front of the gorgeous Blenheim Palace. 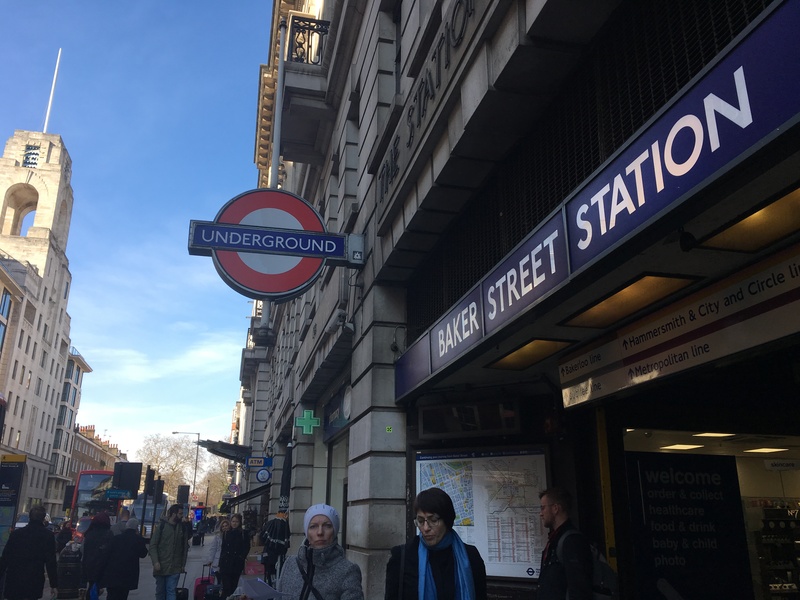 The Baker Street tube station… Sherlock, anyone? 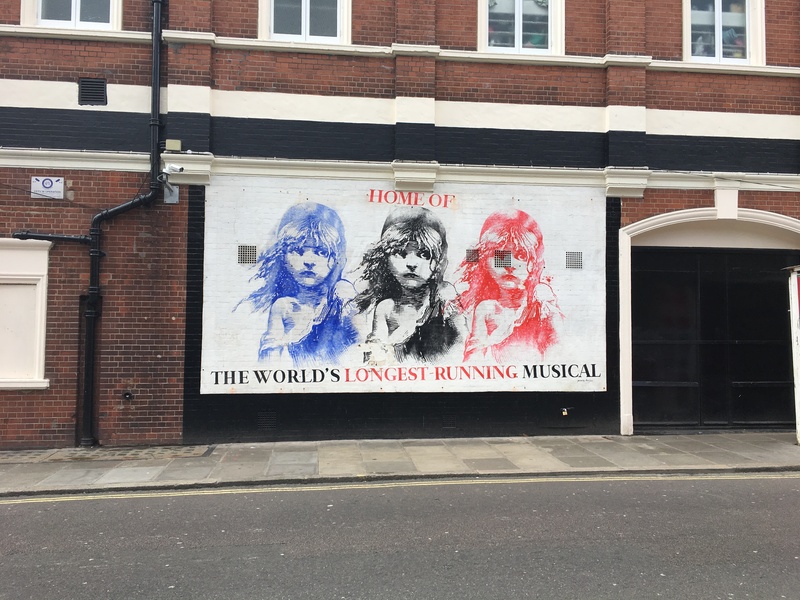 Fueling my Les Mis obsession one street at a time. 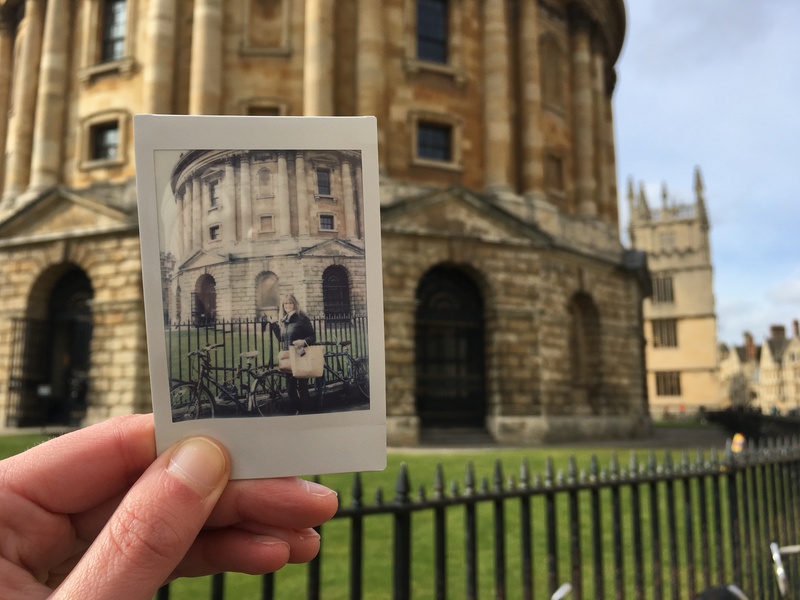 A photo of a photo of my mom in front of the Radcliffe Camera in Oxford. Stay tuned for many, many posts about all of my traveling adventures in the near future!! How was your month of March? What was the best book you read? Did you do anything really fun or exciting? Let me know in the comments section below! Excellent post. I have not read that book by Virginia W but will check it out and the ice cream looks outstanding. Did you visit Sherlock’s house too? I love the addition of life updates to the already appreciated book posts. What fun adventures! I will be adding that Virginia Wolf book to my list! I think I have to add Between the Acts to my TBR. Thanks so much for linking to my post! Yes, it’s such a brilliant book! ❤ And no problem! I need that ice cream in my life! Jealous of your traveling, the pictures look so amazing! It’s fantastic and SO easy to become quickly invested in ❤ I hope you enjoy it whenever you get around to watching it! That ice cream looks so good. 😍 I’m glad you were able to enjoy eating ice cream out for once! I love the bbc adaption of Pride and Prejudice!